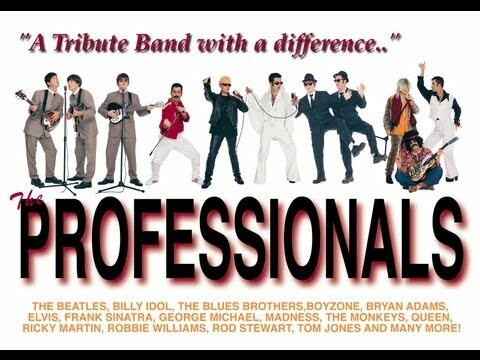 The Professionals Party Band perform throughout the UK and abroad with their unique Spoof Tribute Show of Superstars. There is a large dose of comedy and audience participation and The Professionals impress all age groups with their real vocal talent and ability to entertain. Absolutely brilliant performance, good comedy and very entertaining. Great act that everyone can enjoy.